THANKS for your interest, but we are not accepting any booth entries at this point. 3-18-18.  The 10th Annual Earth Day Fair is scheduled for Sunday, April 22, 2018, 12:00-4:00 PM, at Lion’s Club Park in Leavenworth. The Earth Day Fair is an opportunity to raise awareness about your organization/business, to present your mission, to recruit volunteers and members, and to educate the community about your organization/business. The Fair is an opportunity to promote public awareness about your sustainability practices and opportunities for Earth stewardship. We hope you will join us for the Earth Day Fair this year. Please contact us if you have any questions.